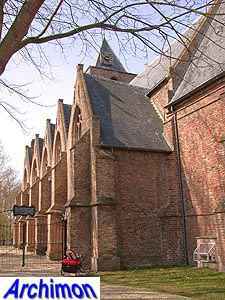 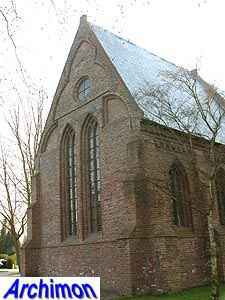 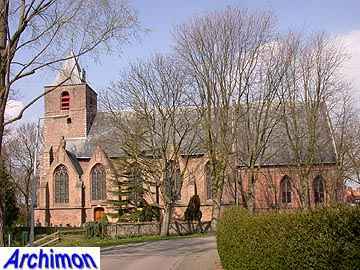 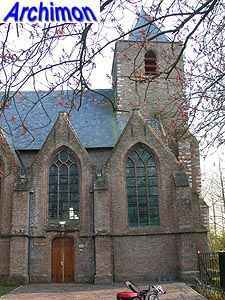 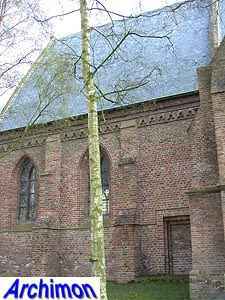 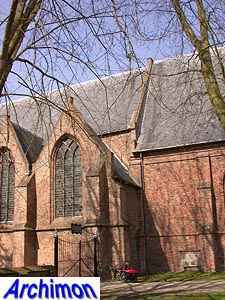 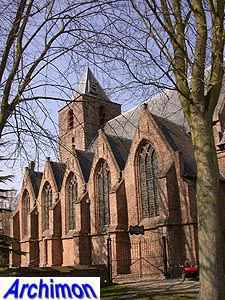 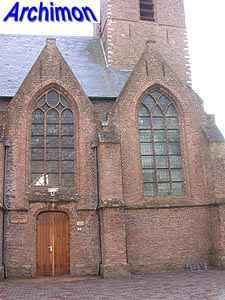 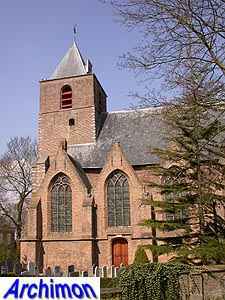 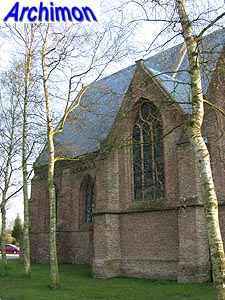 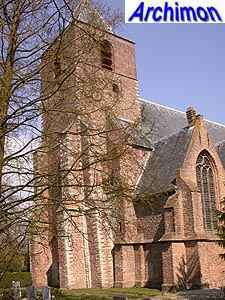 The church of Abbenbroek dates back to the 13th century, when a one-aisled church was built. 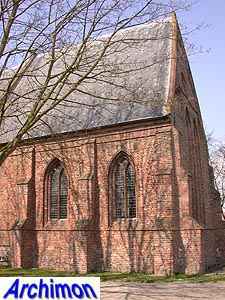 Early 14th century this church was enlarged with the current choir, a rectangular building in an early Gothic style. 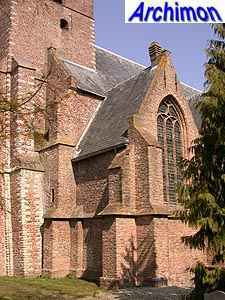 This early Gothic variant is closely related to the Flemish Schelde Gothic style but is also sometimes referred to as Romanogothic. 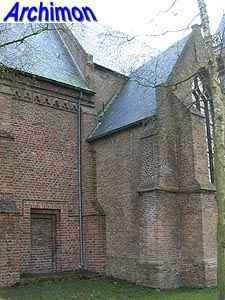 Most likely, both the shape and the style of the choir are the result of the influence of the cistercian abbey Ter Doest in Flanders. 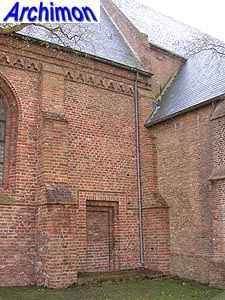 Of special interest is the decoration of the back wall with niches. 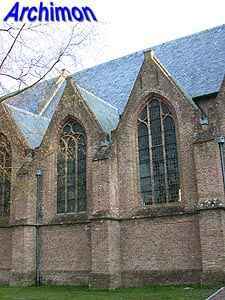 The segmented arch, the shape of which is in literature sometimes called clover-shaped, could refer to ties with the counts of Holland. 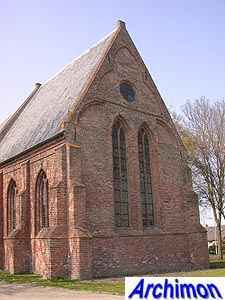 Similar arches are found at the Hall of Knights in Den Haag and the old churches of Loosduinen and Noordwijk. 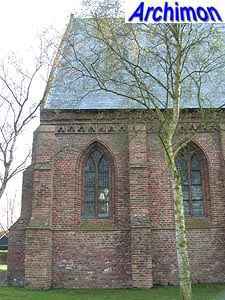 The north side of the choir is decorated with a frieze at the top. 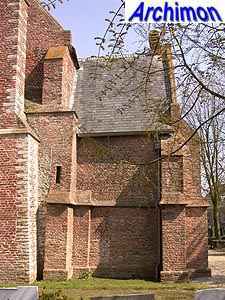 The tower was built in the first half of the 15th century. 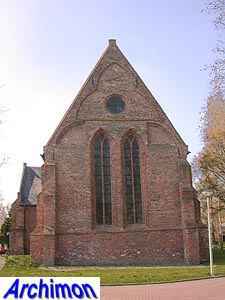 At the end of that century it was heightened, probably to fit with the new nave, which is higher than the old one. 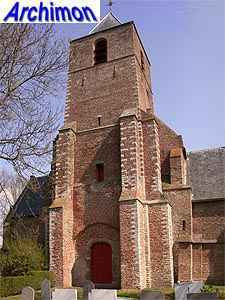 At some point the tower was shortened again, although part of the late-15th century segment remains. 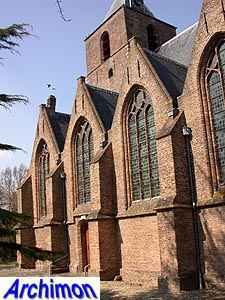 The nave has side-aisles flanking the sides of the tower. 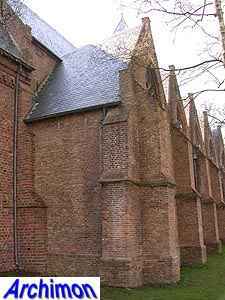 The side-aisles each consist of five traves, each with a pointed gable and a seperate roof square on the axis of the main aisle. 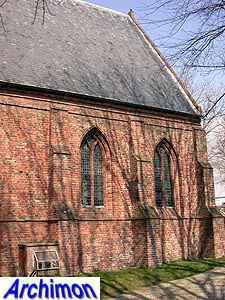 In 1747 a storm destroyed the gables of the south aisle. 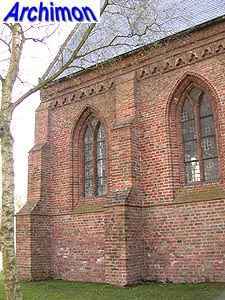 They were rebuilt as part of a restoration in 1930-1933.